Maruti Wagon R price in Bangalore starts from Rs. 4.29 lakh (Ex-showroom). Wagon R is available in only 14 variant. 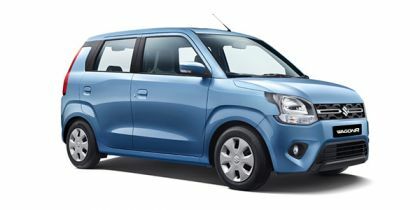 Maruti Wagon R's top competitors are Maruti Alto 800 (price starting at Rs. 3.04 lakh in Bangalore) and Hyundai Santro (price starting at Rs. 3.90 lakh in Bangalore).